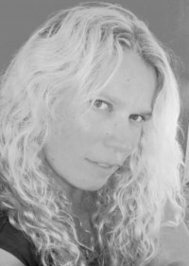 Sharon is a writer from Mackay in Queensland, Australia who has short stories published in anthologies and was also runner-up in the Australian Literary Review's Young Adult short story contest with KARMA. Her NA novel DIVIDED was released by City Owl Press in winter 2015. The sequel SHATTERED is due out in Autumn 2016. By day she is a public relations executive and by night she writes weird fiction and soulful contemporaries while her husband, two sons and cat are fast asleep. Sharon is 33% done with Analiese Rising: This book deals with great themes. As someone with OCD, I appreciate Brenda including an MC with mental health issues. I recognise my own tendencies in the MC at times. Another issue is breaking down the notion of a ‘normal family’. The MC loves her ‘dad’ and acknowledges his role in her life. More and more families aren’t ‘traditional’ and it’s great that Brenda has given a voice to these children in her story. We’d love your help. Let us know what’s wrong with this preview of Analiese Rising by Brenda Drake. We’d love your help. Let us know what’s wrong with this preview of Every Last Word by Tamara Ireland Stone. We’d love your help. Let us know what’s wrong with this preview of Touching Fate by Brenda Drake. A discussion of women in literary science fiction. Thanks for accepting my friend request, Sharon. You seem like an interesting person, so feel free to tell me more about yourself. I, myself, am a singer/songwriter/actor who has recently turned author. My 2 top ten recordings were CONCRETE & CLAY (as a singer) and NAVY BLUE (as a writer)...both in the early 1960's. My first novel is an unusual murder mystery entitled: FORBIDDEN STEPS. I see by a few books you've read that you enjoy the murder mystery genre, so if you decide to give my book a try, I'd love to hear your thoughts as your reading progresses. Check out the awesome customer reviews on Amazon.com....and all 5 stars.